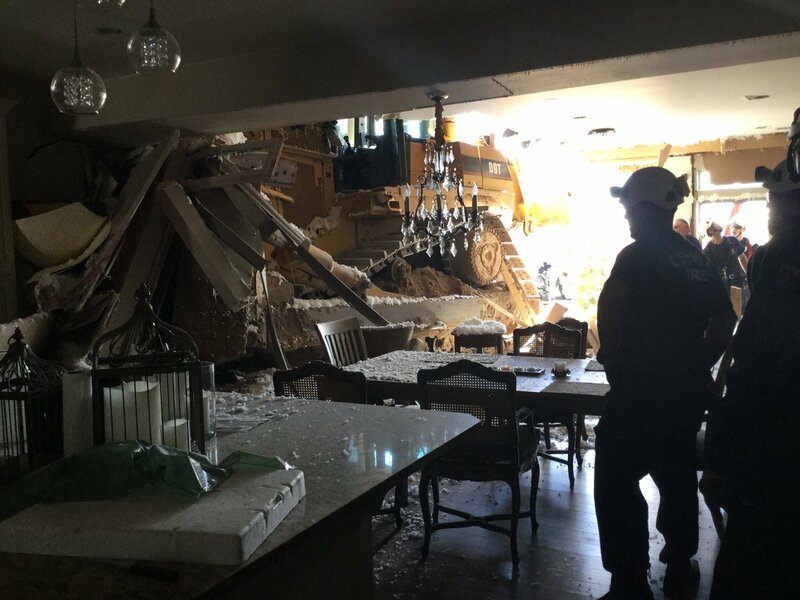 DENVER — A bulldozer plowed straight into a home in Denver Friday morning, causing significant damage. The Denver Fire Department tweeted photos of the bulldozer halfway inside the home at East 47th Avenue and Ventura Street, in the suburban Green Valley Ranch neighborhood . No one was home at the time of the accident. 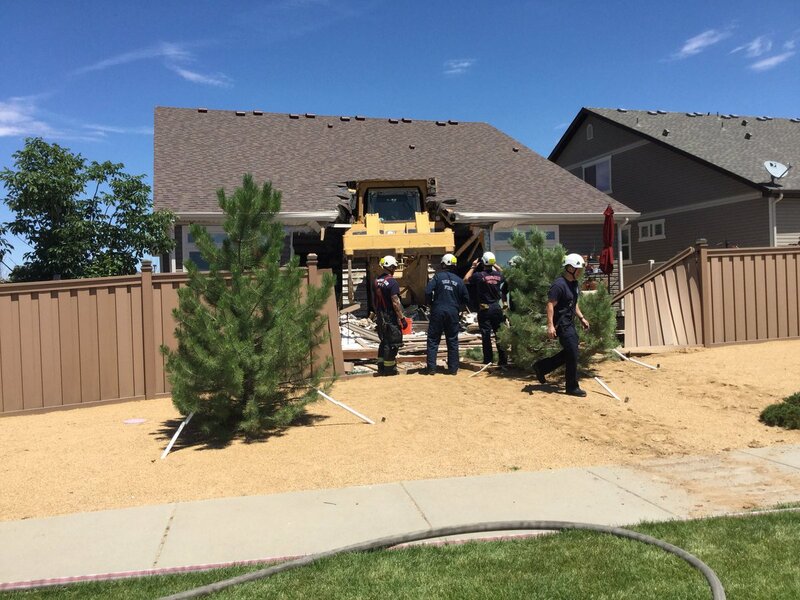 It looks like the bulldozer went right through the fence and into the home – and may have dropped through to a lower floor, according to KDVR. 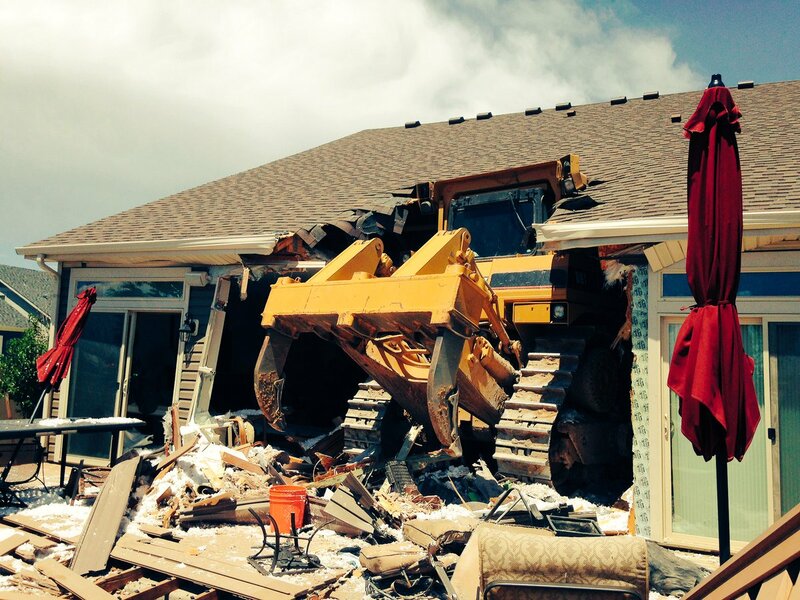 Photos from inside the home show the bulldozer stopped just short of the dining room table. The house has been condemned, according to the fire department. The bulldozer is believed to have suffered an unspecified medical emergency, according to the Denver Post. The driver was treated for minor injuries. Denver Fire has not explained how the bulldozer ended up inside the home.